Mediation is now a pre-requisite to any legal action irrespective of the size of dispute. The courts expect parties to enter into mediation as part of their pre action protcol. 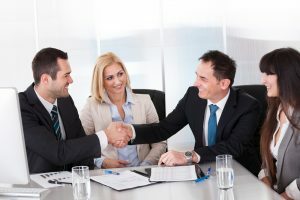 Formal Mediation is a balanced and formal way in which the parties are given the opportunity to meet face to face in a neutral environment to review their dispute and look to routes of resolve, without the huge expense of appearing in the courts to have their dispute decided for them. With current court costs, which are continually increasing, there is an ever growing number of people turning to Mediation. The Mediator is a facilitator of mediation and does not make any decision, that is for the parties to jointly do. Rod Appleyard Msc, Bsc(Hones) FRICS is a Fellow of the Chartered Institute of Arbitrators, an Accredited Mediator listed with the Civil Mediation Council and a member of the Association of Northern Mediators. With an already proven track record in both dispute resolution and mediation he is able to accept appointments on application. The parties can be confident that they are appointing a professionally trained mediator who is conversant with construction disputes, large or small, including dilapidation. We are able to offer the service actross the North of England including Manchester, The Midlands and Lincolnshire. We are based in Bingley, West Yorkshire but always look to hold the mediation in the area of the parties in order to minimize the need to travel great distanceds by the parties. Please make all enquiries to Rod appleyard at vassc@aol.com.